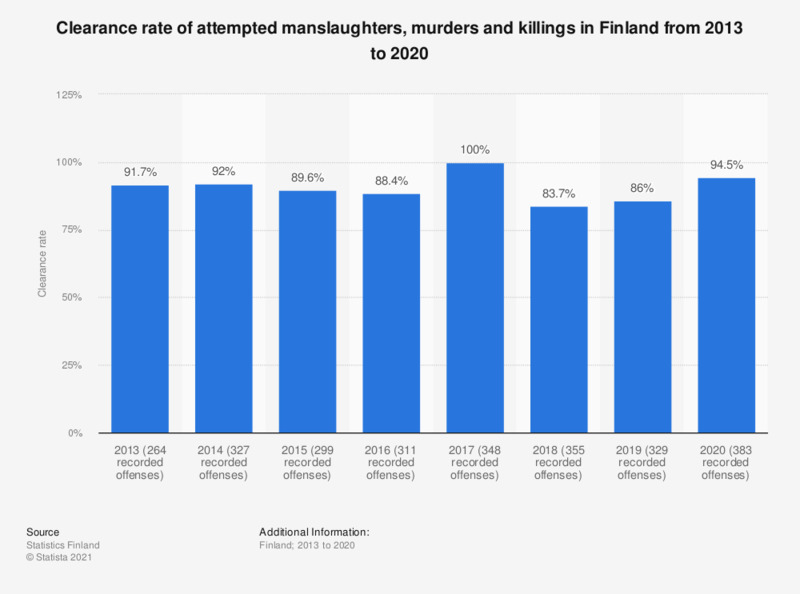 This statistic shows the clearance rate of attempted manslaughters, murders and killings in Finland from 2013 to 2017. In 2017, the clearance rate of these violent crime attempts was 100 percent. The figures represent the clearance rates of offences recorded by the police, by the Finnish Customs and the Border Control. Some of the figures have been taken from previous publications.